It is time to be thrilled. It is time to be thrillingly creating who we are. When we combine peace, joy, love and fun with the thrill of the ride, everything comestogether in a ball of creation that is unstoppable! Many of us associate ‘thrilling’ with scary, and that can be a ride! It can be a fun one if you are on a roller-coaster but a tedious one if you are living on the edge financially, or in regards to your health. The challenge is to connect the true thrill of easy, effortless creation as the excitement we love, and break the electrical charge around needing struggle and sacrifice that creates the experience of stressful living. The Universe and our belief systems are giving us plenty of opportunities to experience that. 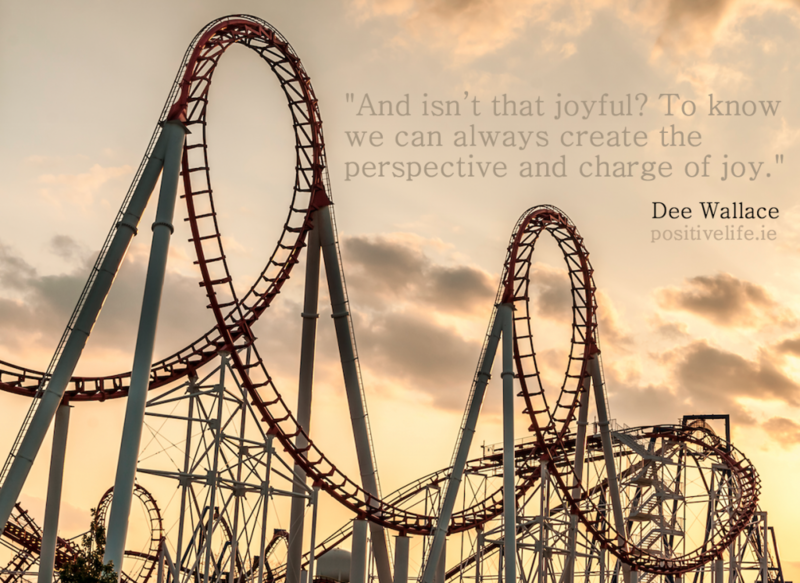 When we perceive stress as a bad, debilitating thing, our beliefs support the breakdown of our bodies due to “stressful living.” When we embrace all the opportunities we are creating , and all the experiences we “get to handle” and all the ideas we have the opportunity to move on – when we choose the perspective of a joyful, exhilarating ride that is thrilling, stress becomes a positive that feeds us and nurtures us. And we get to choose that perspective. We also get to choose the balance we need, and to hold our lives in balance when we can feel we might be going into a little overwhelm.